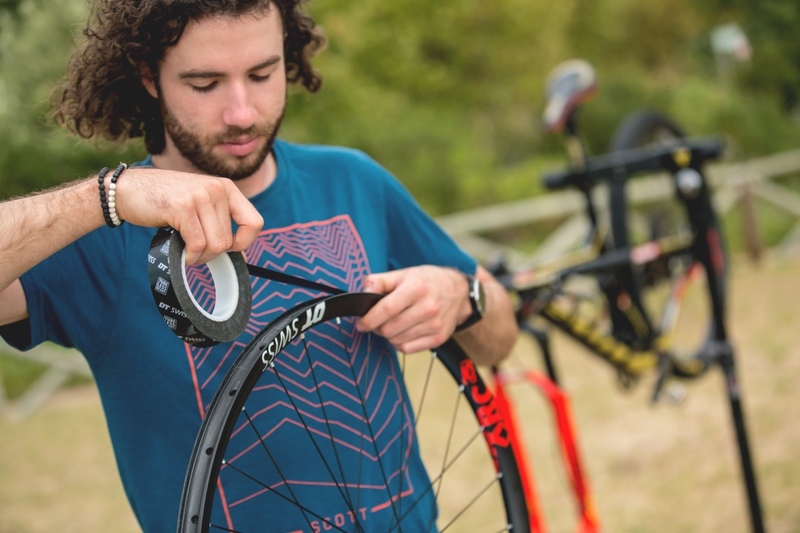 Yanick the Mechanic shares his pointers for the best way to set-up tubeless tires. 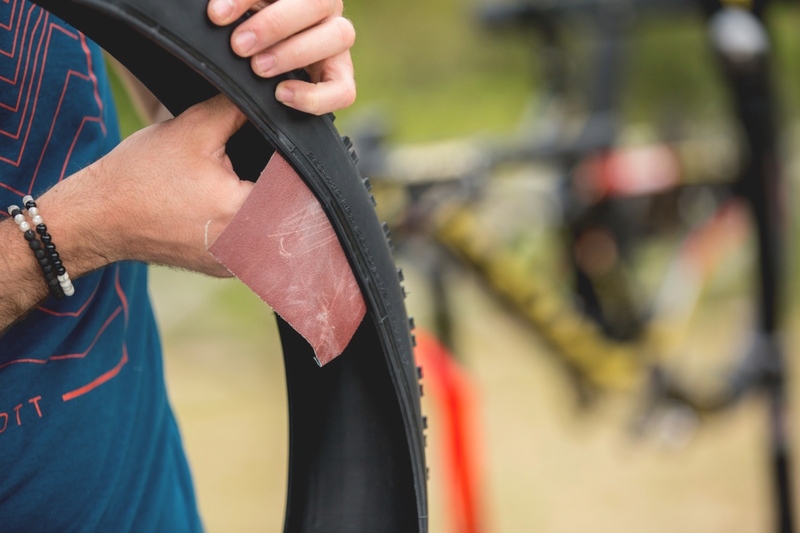 Riding with tubeless tires at a race like the upcoming Cape Epic is what 99% of all racers are doing — and for good reason. And like the rest of us, tires and tire set-up are one of the most important topics for the Scott-SRAM team. 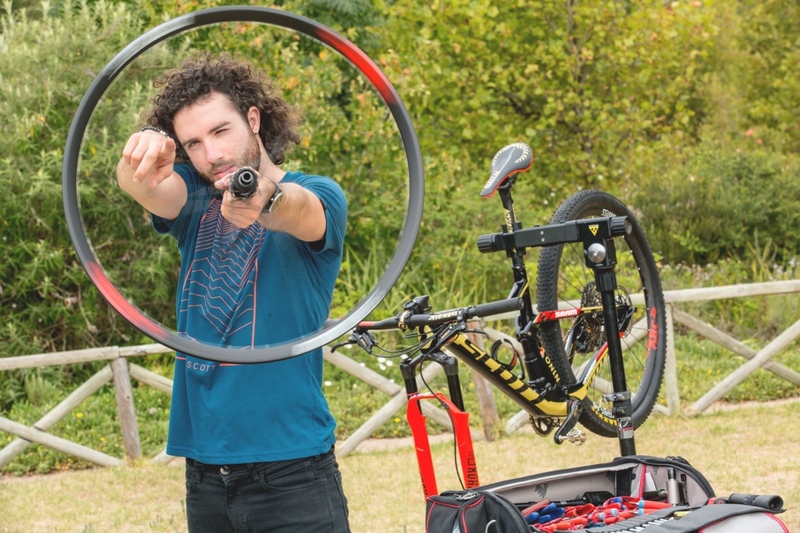 World and Olympic champion Nino Schurter has always been very picky about his tire set-up. Precision taping with Yanick the Mechanic. In the run up to the Rio Olympic Games, the team spent a lot of time researching and testing along with the Swiss federation. The team found the right combination of tire size and rim width, giving the tire stability, compliance and the right shape for rolling resistance and traction. 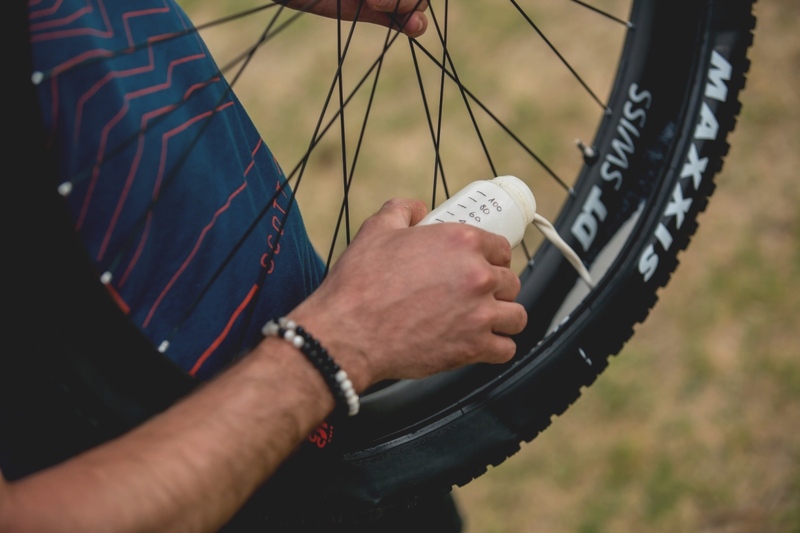 Now Schurter’s right hand man Yanick the Mechanic shows some of the tricks needed to perfectly set-up tubeless tires. Press play and learn. And if you want to skip the section on tire basics and get right to the set-up portion of the video, bump ahead to 3:27. No rough edges, thank you. And the most important ingredient. Check out more How To content on Mtbr and learn more from Yanick here.